The Point Men on VHS. Starring Christopher Lambert, Kerry Fox, Vincent Regan. Directed by John Glen. 2001. 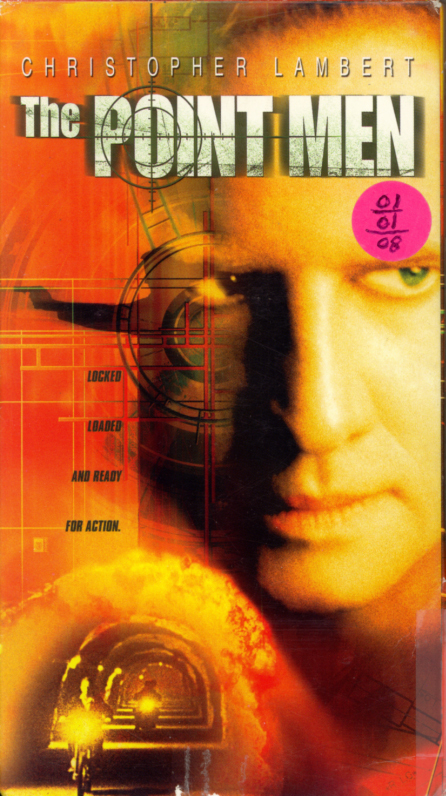 THE POINT MEN is an action-packed, edge-of-your-seat thriller starring international superstar CHRISTOPHER LAMBERT as an Israeli secret service agent assigned to track and assassinate Amar, a terrorist who is threatening the future of the Middle East peace process. A failed mission to kill a Palestinian terrorist leaves S.S. Agent Tony Eckhardt and his team demoted, dejected and an embarrassment to the agency. Convinced that the operation was a trap set up by Amar, Eckhardt’s repeated excuses for his failure fall on deaf ears, and when the other members of the team are killed in a series of brutal revenge killings disguised as accidents, Tony decides to take matters into his own hands. The director of the James Bond classics License to Kill, The Living Daylights and For Your Eyes Only, takes you on a roller-coaster ride through war-torn Europe — deep into the provocative and dangerous world of international espionage. 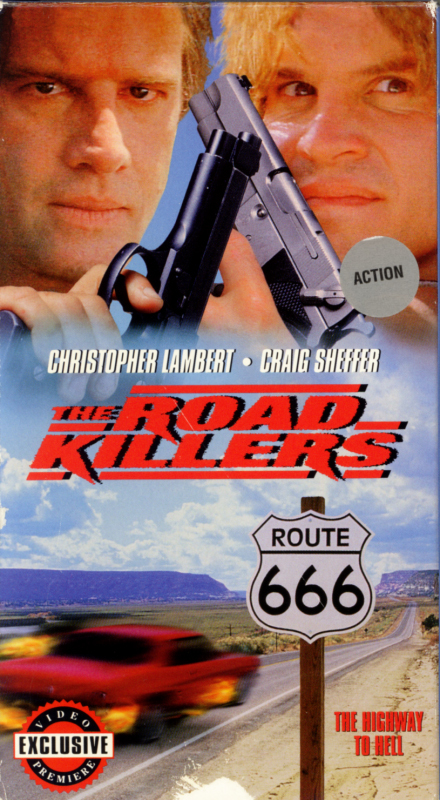 The Road Killers on VHS. Starring Christopher Lambert, Craig Sheffer, David Arquette, Josh Brolin, Michelle Forbes, Joseph Gordon-Levitt. Directed by Deran Sarafian. 1994. A group of psychotic joyriders terrorizes a vacationing family in this riveting star-powered action thriller featuring Christopher Lambert and Craig Sheffer. While on a road trip, Jack Lerolland (Lambert) and family are horrified when a young boy is nearly run down by a carload of troublemakers. The group’s ringleader, Cliff (Sheffer), challenges the boy’s father to a deadly game of chicken. Intent on eliminating witnesses, Cliff orders his friends to kill Jack while he kidnaps the family. The bizarre gang’s plans begin crumbling as they fight among themselves, revealing volatile tempers and shocking secrets. Meanwhile, Jack, propelled by fury, has cheated death and sends Cliff on a one-way trip down hell’s highway. 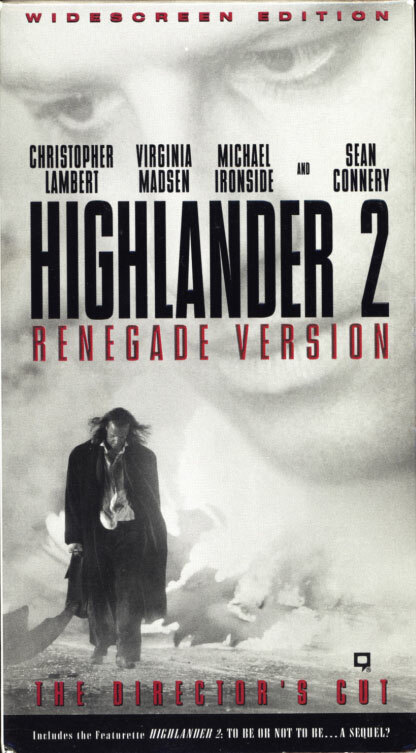 Highlander II: Renegade Version on VHS. Starring Christopher Lambert, Sean Connery, Virginia Madsen, Michael Ironside. Directed by Russell Mulcahy. 1991/1997. Includes the Featurette Highlander 2: To Be Or Not To Be… A Sequel? This is the re-edited, completely restored saga of the continuing exploits of deathless immortal Connor MacLeod and his swashbuckling mentor Juan Sanchez Villa-Lobos Ramirez (Sean Connery).